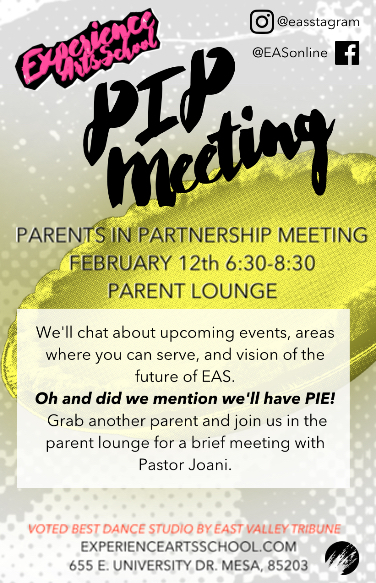 February 12th 6:30-8:30 Parent Lounge - We'll chat about upcoming events, areas where you can serve, our new location, and the vision for the future of EAS. And did we mention we'll have PIE! Grab another parent and join us in the downstairs lounge for a meeting with Pastor Joani. It's BACK! Our All-You-Can-Eat Pancake Breakfast, Saturday (FEBRUARY 24th 8AM-10AM) at Applebee's. We're back at the Alma School & Baseline location. Bring the kids and the fam. Get your face painted, take some selfies with our Superheroes and Princesses and stick around for some fun surprises! 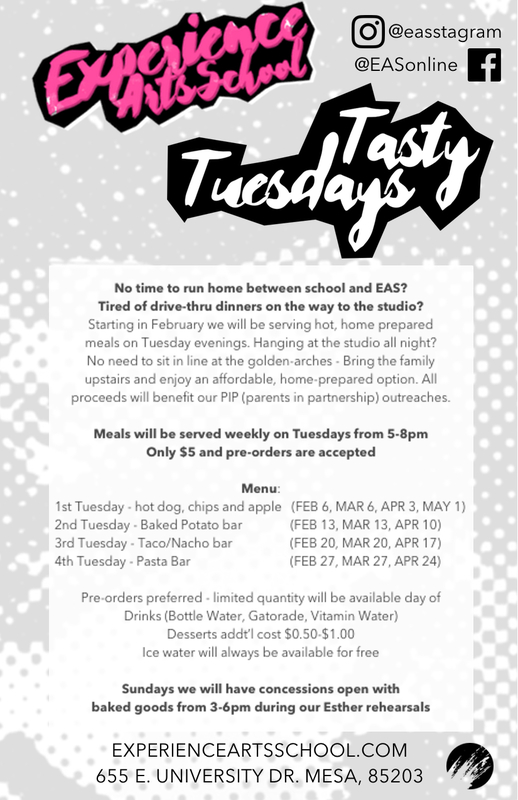 Our students and staff will be running the whole restaurant, so make them earn those tips! Tickets are available at our 2 reception desks, ONLINE and at the door on Saturday. Our monthly rally is an opportunity for us to build team, hang out, have some fun and prepare for the upcoming events that month. Normally the rally falls on the 4th Saturday from 1:00-4:00pm. Because of the Pancake Breakfast we are moving the February Rally to the 17th. Time will remain the same. Looking for a something fun to do on Valentine's Day? Maybe a Daddy-Daughter date? Our Junior & Senior Music students will be performing at the Mesa Riverview Chick-Fil-A on Wednesday, February 14th. At 5:00, 6:00 & 7:00pm. Three separate performances and reservations are accepted (not required). More info at their website.